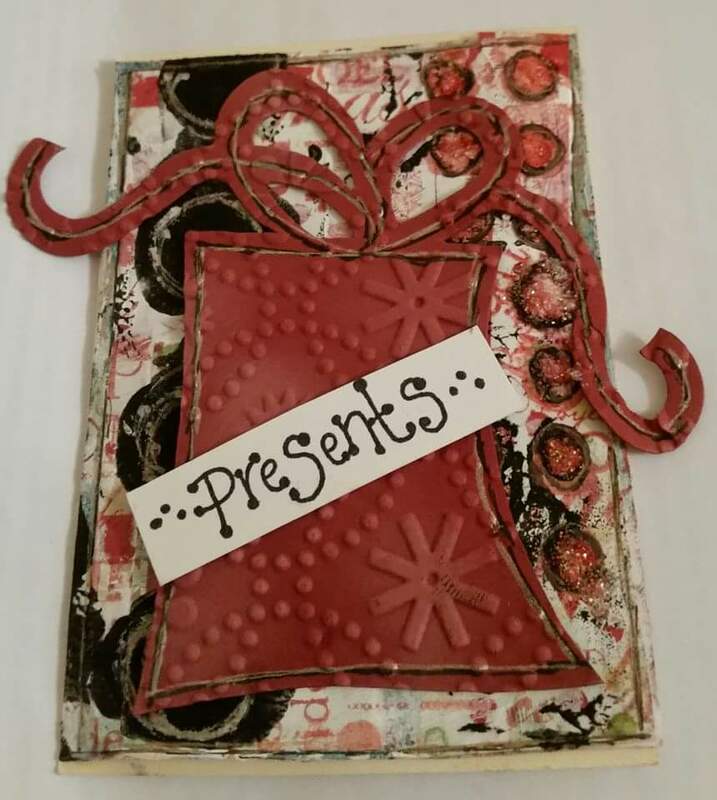 This month it is my choice of theme for the Artful ATC group and I chose presents. It seemed suitable for the month of December. I sent mine off really early this month so as they’ve already been received I can share already! 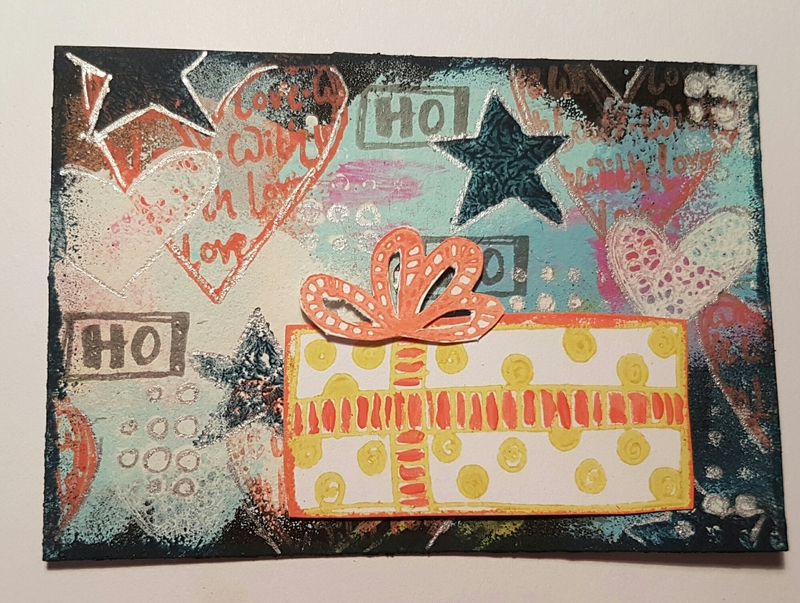 Some jolly Christmas papers collaged onto a painty scrap. Knew it wouldn’t matter what it looked like as I was collating over it. Then added gesso to blend the papers together a bit. Then I went a bit mad with stencils and stamps but knew I had a die cut to add on the top so most of this got covered up! I’ve had the die cut in my stash for a long time so it was good to find a use for it. 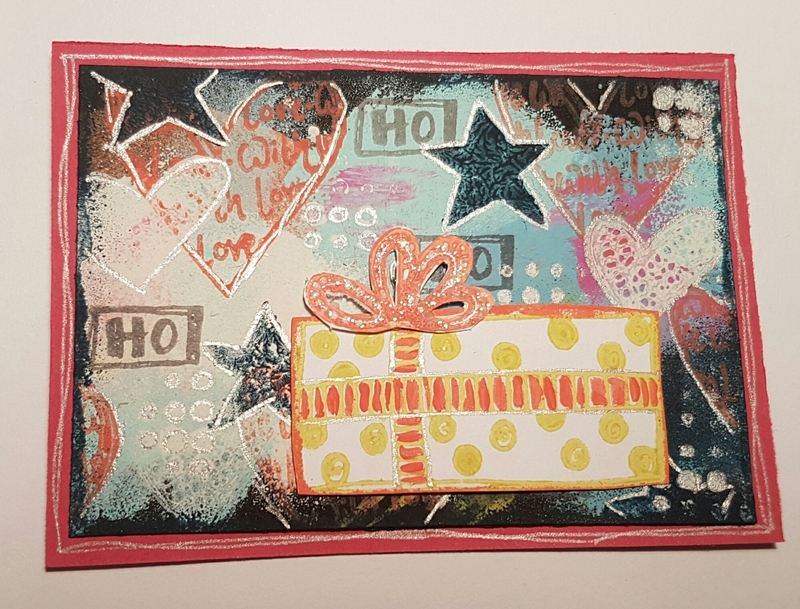 The Blonde Moments stamped sentiments seemed perfect for it too! 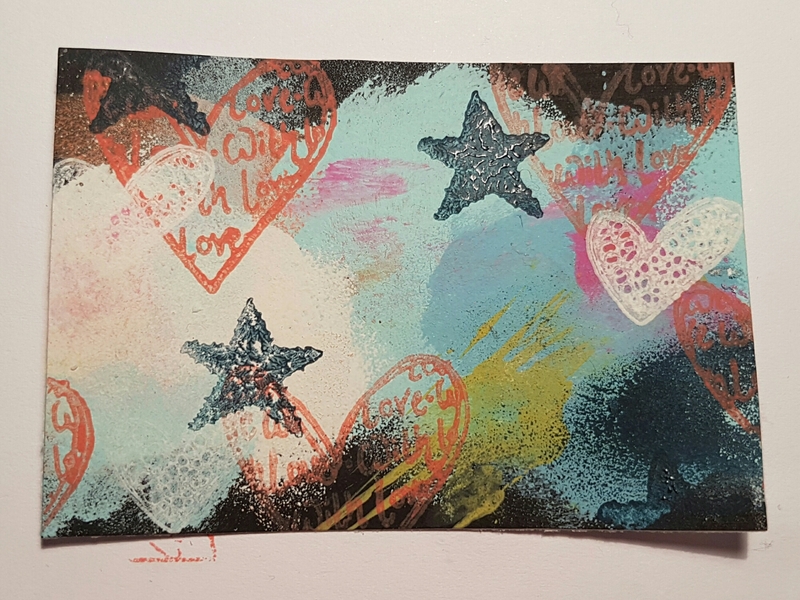 I used a similar set of colours of the fresco finish paint and stamped a few Dylusions stamps randomly over the background. I also used some archival ink for some other bits and then when it was dry I outlined the shapes with a silver pen… after all it is Christmas! 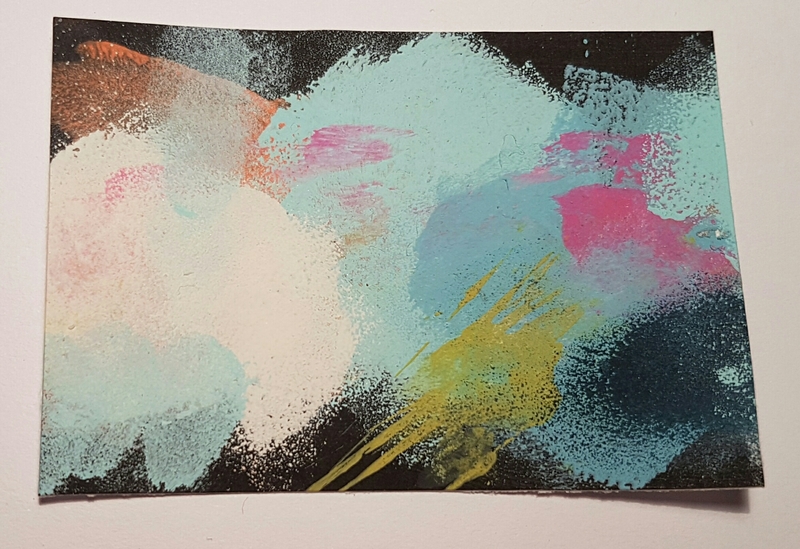 Then I stamped the present image out onto white card in the same colour scheme. I did it twice in different colours so I could add the bow as a different colour. I had added the present using pinflair glue gel to give it dimension and then added some stickles to the bow for extra sparkle. For the mount I chose a bright pink cardstock and layered it up, finishing off with some more silver pen doodling. Really happy with both of these… looking forward to seeing what I get in return. Always fun opening the envelope to discover the beauty inside.